Buy British: The British Flat Shoe Company & Style For Stroke Collaboration. 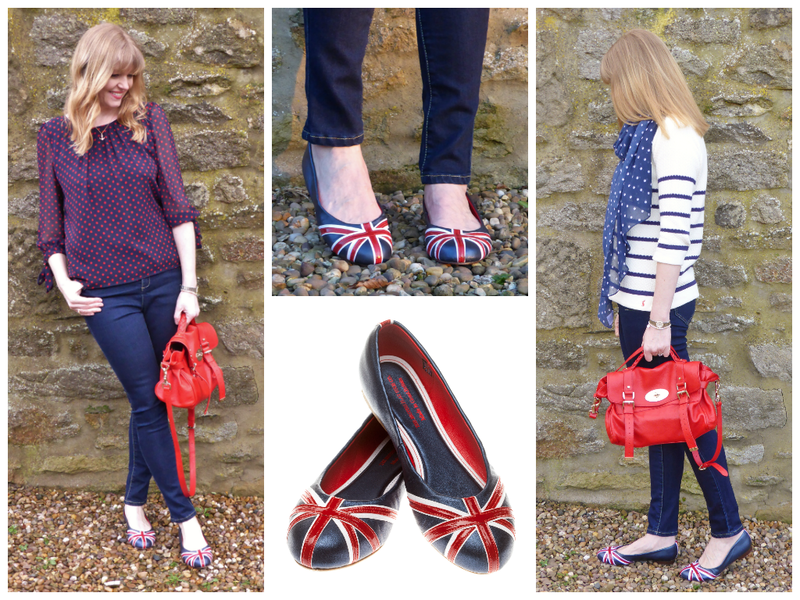 Charlotte Henderson of The British Flat Shoe Company sent me a pair of her iconic Union Flag ballerinas earlier this year. We have stayed in regular contact and I now consider her to be so much more than a business acquaintance. She’s a lovely woman and has become a friend. I wear the shoes frequently and they continue to be the most comfortable ballerinas I’ve ever worn. Her newest design has just launched and it’s in collaboration with Style For Stroke. It’s a unique design that will raise awareness for the Stroke Association. The charity is very close to Charlotte’s heart as she has seen first-hand the effects of stroke since her partner suffered from one in 2008. Style For Stroke is an Award Winning charity initiative that was launched in 2012 by fashion and style PR Nick Ede. It has fast become one of the most successful charity initiatives in the UK and has attracted support from names including Eva Longoria, Jessie J, Hilary Devey, Millie Mackintosh, Kelly Hoppen, Professor Green and many more. These stunning shoes are a turquoise premium suede leather with a distressed silver leather toe and distressed silver leather inner lining. Like the rest of Charlotte’s designs, they have a high quality resin sole and heel and are fully lined in leather. The built in soft padded insert in the heel and padded inner sock guarantee comfort. Here is my own pair. They are absolutely beautiful as these photographs will attest. I’ve worn them several times already and can confirm they are as comfortable as my Union Flag ones. They will be making countless appearances in upcoming outfit posts. The quality is excellent and the designs are head-turning and attract frequent compliments. I absolutely love The British Flat Shoe Company and do hope this collaboration will raise much needed funds for this very special charity. Do take a look at Charlotte’s other designs too, there’s a fabulous array of colours and materials. These are gorgeous and what a good charity to work with. I'm really tempted by a pair of these – how do you find their sizing?